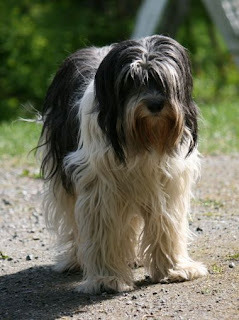 The Schapendoes which is also known as Dutch Sheepdog originated in Netherland. This breed was in danger of extinction some time before but now are stable in their home town. Schapendoes breed is rare in north America. This breed of dogs is agile and they are also quite alert, brave and intelligent this breed can resist any kind of weather. This breed is also known as a household pets. The Schapendoes is a very loyal, devoted and clever dog breed. They have a lots of strength which makes them different from other household pets, they can be used as a watchdog and considered as good watchdogs.They do well with children and older people they are raised with. This breed of dogs has a double coat with a quality of self cleaning, the outer coat is harsh and long and wavy where as the under coat is thick and soft. This breed like most other dog breeds requires early age socialization and obedience which is very important. They are good learners and require regular training, they will not respond to the harsh and hard methods of training. This breed of dogs is not good for the apartments and city living conditions, because this breed requires lots of outdoor and indoor exercise, they are good in rural settings with a job to do. This breed has two coats which needs consistent brushing to avoid dirt and dead hair. Bathing should be done when required, the paws and pads should be cleaned and checked regularly to maintain their health. Due to careful and selective breeding, the Schapendoes has no health issues. The average lifespan of the Schapendoes is about 14 years. Even though this breed is not known to have any breed specific dog diseases and health problems, as a responsible pet owner it is your job to keep an eye on the health of your dog and if you notice any symptoms of dog disease in your pet you should consult a veterinary at the earliest.